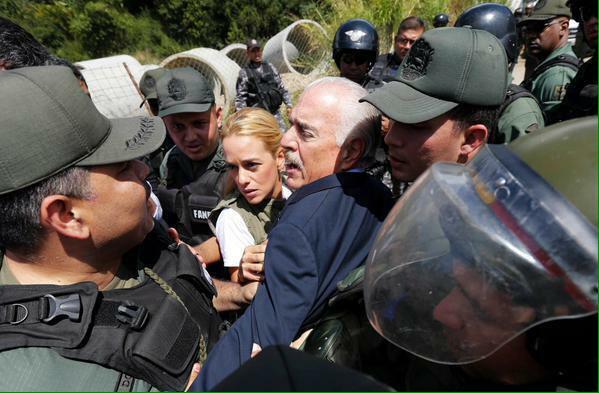 Former president Andres Pastrana, seen here with Lilian Tintori, wife of jailed Venezuelan opposition leader Leopoldo Lopez. 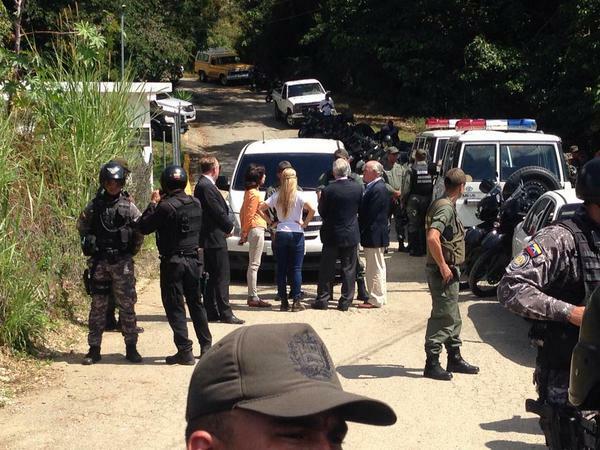 Yesterday, the Venezuelan government of Nicolas Maduro did not allow former Colombian president Andres Pastrana and former Chilean president Sebastian Piñera to visit opposition leader Leopoldo Lopez in jail. 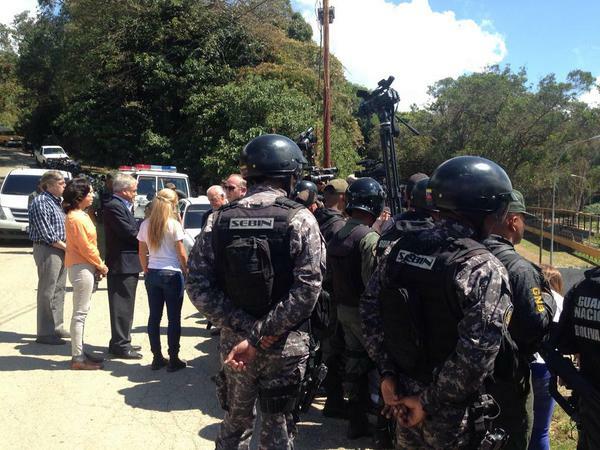 Lopez is being held in a military prison in the outskirts of Caracas. He gave himself up during an opposition march eleven months ago after having an arrest warrant issued against him. Maduro accused Pastrana and Piñera of taking part in a coup plot against him. Pastrana urged former Colombian president Ernesto Samper Pizano, the head of the Union of South American Nations, Unasur, to condemn the human rights violations of Maduro’s government. What’s going on in Venezuela? By guest blogger Rubens Yanes. Former Colombian president Alvaro Uribe and Óscar Iván Zuluaga, the head of Colombia’s opposition party, Centro Democratico, expressed their support for Pastrana’s efforts. President Santos remains silent on the subject. On Saturday, thousands of Venezuelans took to the streets of Caracas for the first time in months to complain about the worsening economic crisis. They banged empty pots, in reference to the shortage of many staple foods, like milk, chicken, beef, sugar, coffee, and flour. To maintain order in supermarket queues, the Maduro government has deployed armed National Guard troops to the streets. It also ordered the use of fingerprint machines in certain stores to control how much individual shoppers can buy, and it has prosecuted shopkeepers and suppliers accused of hoarding and price manipulation. The price of food and basic necessities has increased by 7.2 percent from November to December 2014. To afford basic living expenses, a Venezuelan needs to earn six times the minimum wage. Inflation is running at about 60 percent, and the economy is teetering on the brink of recession. Venezuela is one of the world’s largest oil exporters. The generous social programs of Hugo Chavez and Maduro were largely financed through oil revenue. Now, with the plunge in the price of oil, Maduro’s economic policy seems to be “God will provide,” as he said in his recent State of the Union speech. Aiming to secure the support of disenchanted Chavistas, Maduro still promised a 15 percent increase in salaries, and additional funds for some of the social aid government programs. He also said the government will inject more money to complete Caracas’ newest subway line, currently under construction. 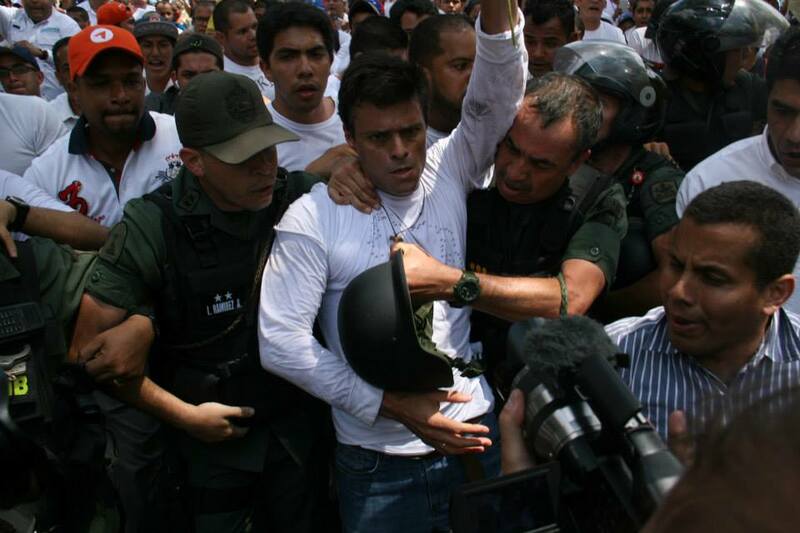 Leopoldo Lopez gave himself up during an opposition march eleven months ago. « Investment in early childhood education cuts crime & boosts economy. Another interesting development regarding this event is how the Conservative Party on Colombia has once again lined up behind Pastrana, which it had not done since the end of his term in office. It seems Pastrana is becoming the poster boy for the Colombian right, which might just be what it needs: A trained diplomat with good relations. It also seems clear from that attitude that the Venezuela topic and the government’s silence about it will become an even greater war horse for the conservatives. The consequences of that for the peace process would be stronger political opposition and maybe, just maybe, a greater turnout when the treaty hits the ballots, not to mention a relegitimization of the ideals wielded by the right. Perhaps the military would enjoy that outcome which, in my opinion, is something the armed forces need.